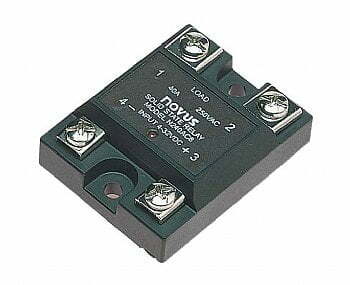 40 amp @ 480VAC (max) solid state relay, 90-128VAC by Novus - SSR-4840AC | Gordo Sales, Inc. - Industrial Process Heating and Control - Gordo Sales, Inc.
80 amp @ 480VAC (max) solid state relay, 90-128VAC input. 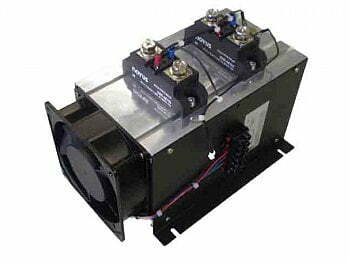 These electronic devices are used for switching resistive and inductive loads and outperform the conventional mechanical relays with great advantages. 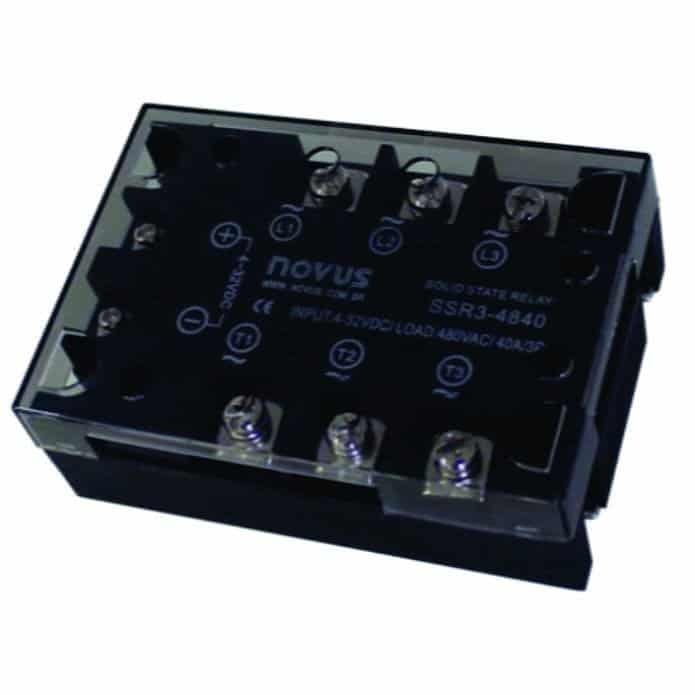 The life cycle with millions of operations, the high switching speed without mechanical or electrical noise, no dangerous sparks or wearing, and the low power needed for switching make the solid state relays a perfect choice when high control accuracy is fundamental.